The Duke and Duchess continue overseeing renovations at Frogmore Cottage and have not yet made a move to their new home. Work continues apace at the house, a gift to the couple from The Queen, but it is still expected to be some time before they will be able to move in full-time. Meghan remains busy. Richard Palmer of The Express tweeted an update last week on her status. It will surprise no one that the Duchess has continued to work. On Friday she had a private meeting at Smart Works, one of her patronages. 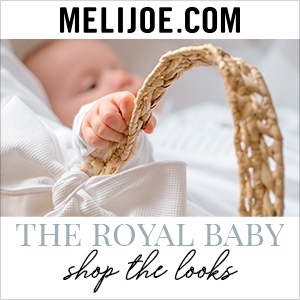 It is thought Meghan visited all of her patronages ahead of the baby’s arrival. There has been no announcement regarding where the Duchess plans to have the baby, no specifics on the location or facility. This is a quick piece with more on the latest goings-on. 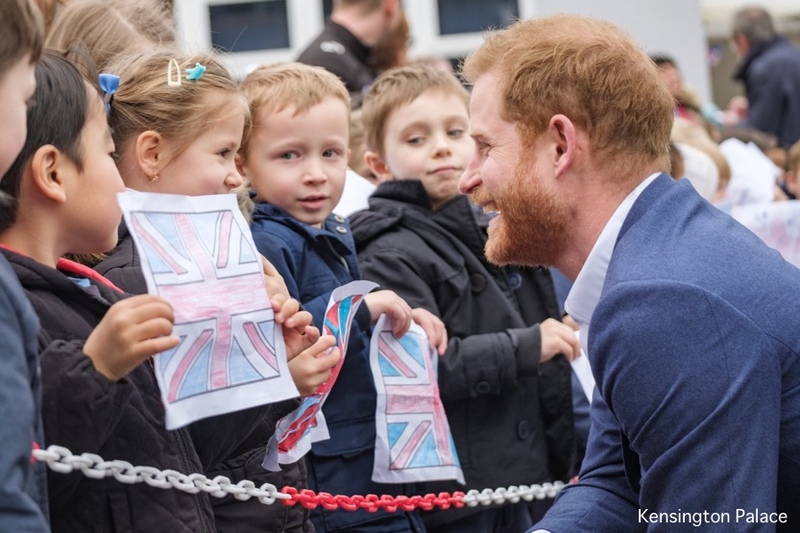 Of course, Prince Harry has remained busy with his engagements, including a tree planting at St. Vincent’s Catholic Primary School last week on behalf of the Queen’s Commonwealth Canopy. “Harry replied, ‘I’m the real Harry. I’ve just had my hair cut for the occasion. As he continues his engagements, it is clear the Duke wants to stay relatively close to home. Harry and Meghan know that their child will move further and further from the throne as the years pass into decades. That means they have a freedom to chose pretty much any name under the sun, though some options, such as Aethelflaed, the royal who ruled Mercia around 1200 years ago, are likely non-starters. Yikes – Aethelflaed! 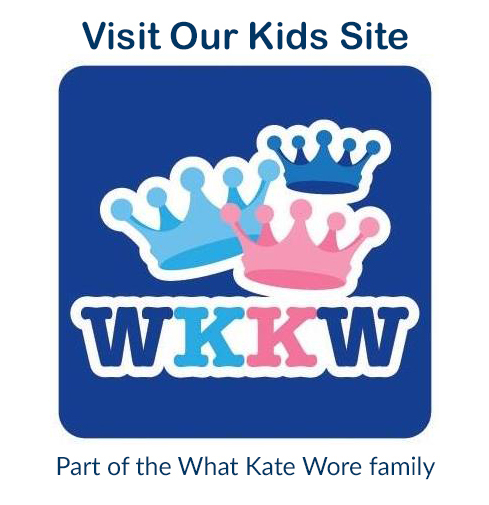 More on names suggested by royal watchers on social media may be seen here. 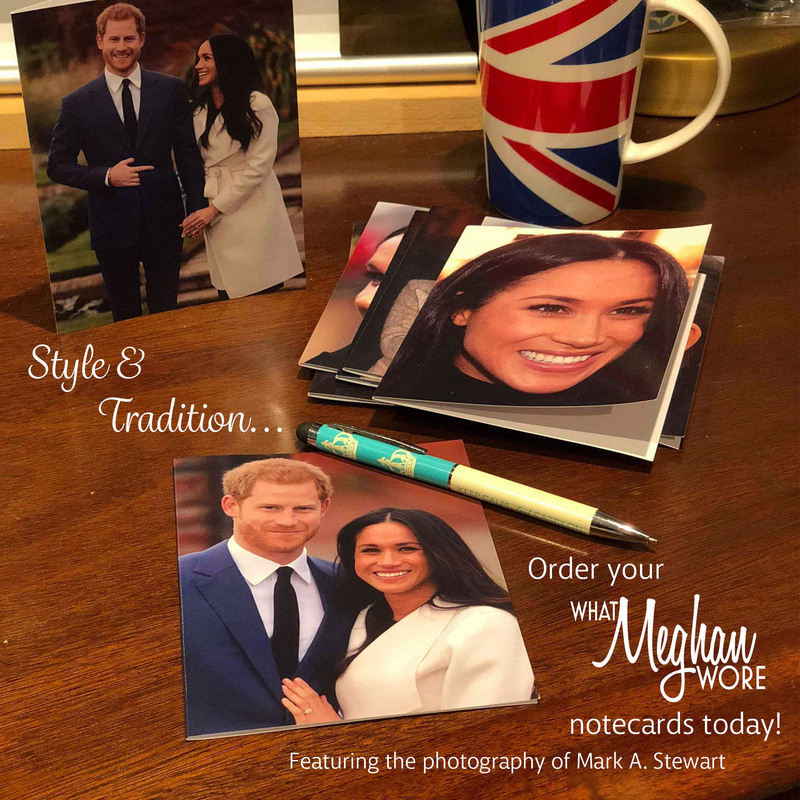 We have an update on just how strong “The Meghan Effect” has been for some companies. 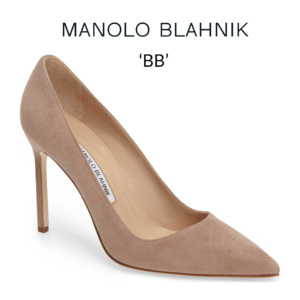 (The ‘Effect’ references the way many items are sold out as soon as they are seen on the Duchess.) Remember when the Duke and Duchess visited Northern Ireland and Meghan carried a bag by Charlotte Elizabeth? 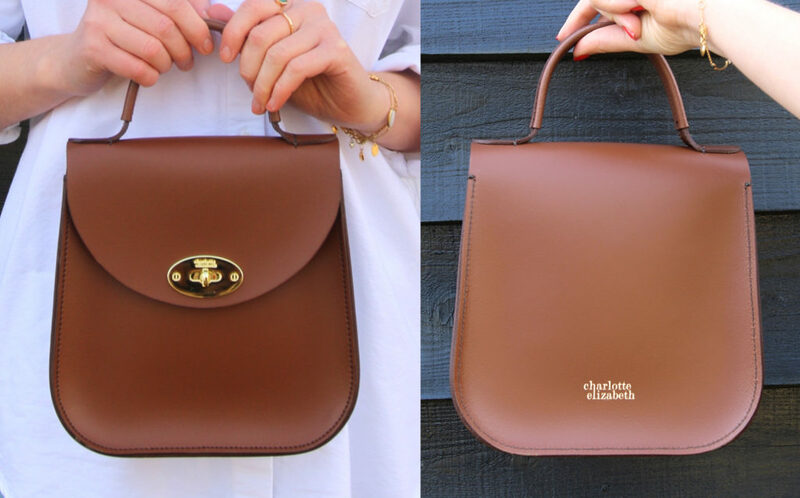 A closer look at the Bloomsbury bag. That was one year ago this week. Below, the company’s founder, Charlotte Jones. If you’re wondering how the small company dealt with the overwhelming attention, Royal Central has the story, and it’s a good one. 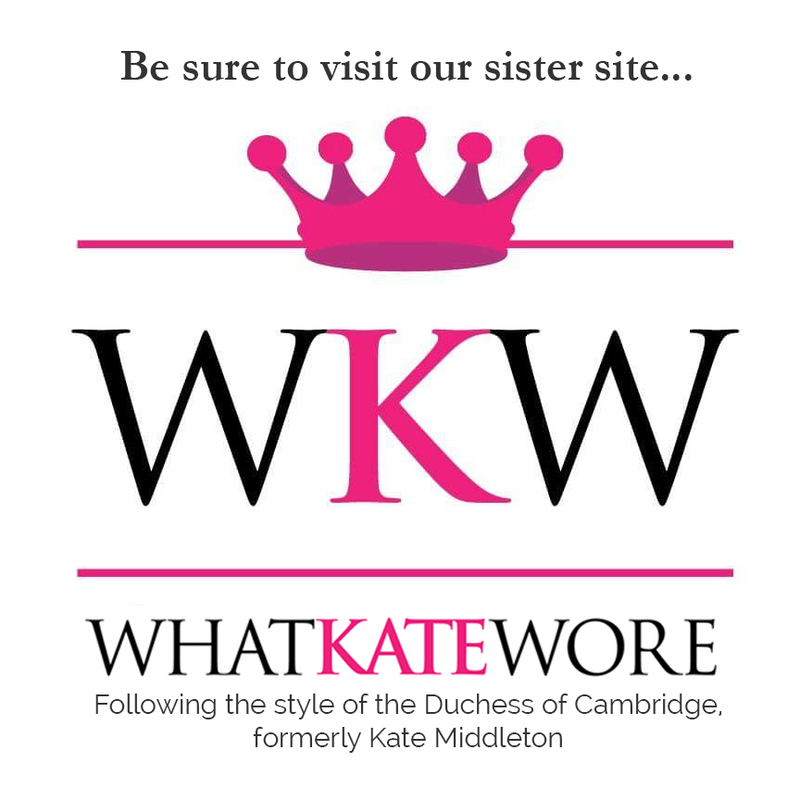 Within minutes of the Duchess wearing our signature Bloomsbury style last year, our site was flooded with orders worldwide with our total sales up 45,000% in 24 hours,” Amy Jones, the company’s COO, told Royal Central. 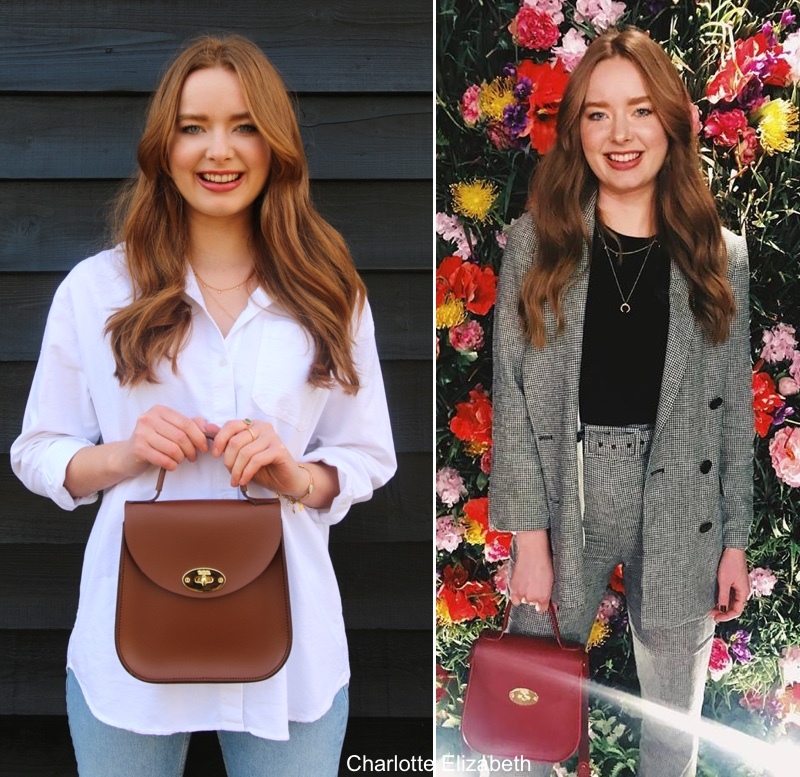 Charlotte Elizabeth has exploded worldwide, and the majority of orders have been coming in from outside Britain after the duchess carried their bag. 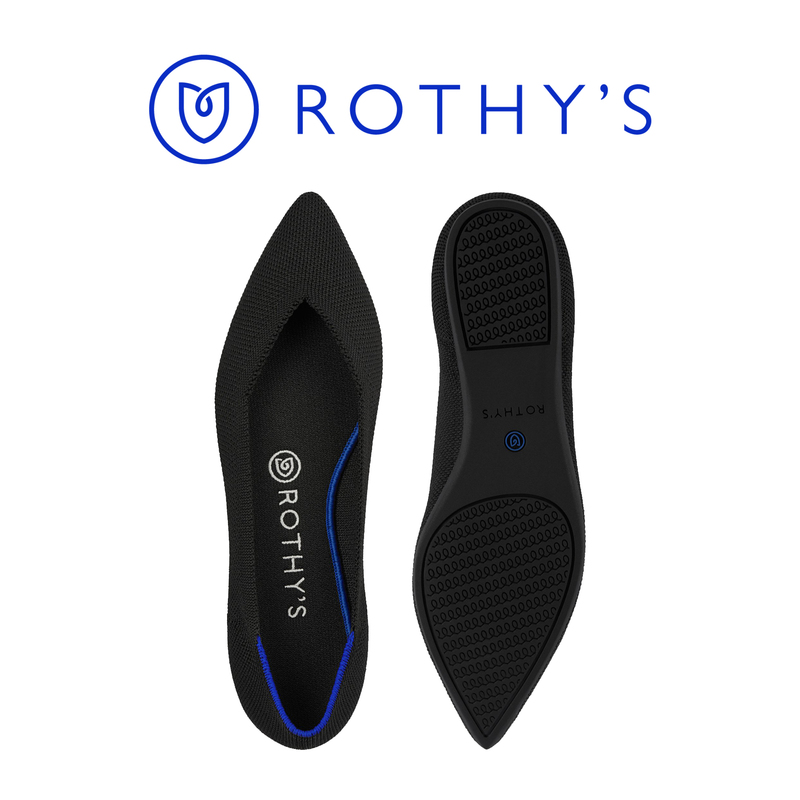 “We’ve seen incredible growth overseas, with 69% of our sales to the international market,” Jones said. It has also been reported that father-to-be Harry has been given the honour of becoming Lena’s godfather, so no doubt it was an even more special day for the royal. The Rev Dr Gerald South, the priest who conducted the ceremony, told Daily Mail the service was “lovely”. The Duchess opted to wear another piece from William Vintage. She wore a 1960s-era Dior Haute Couture design by Marc Bohan. 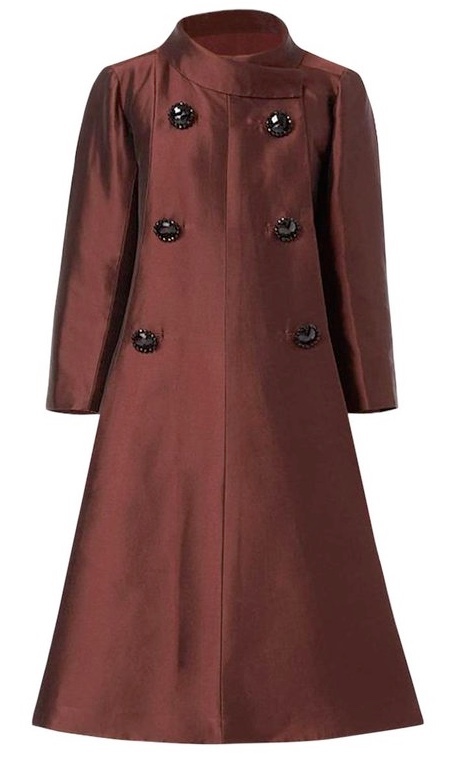 Crafted in rich silk fabric, the evening coat featured an A-line silhouette with three-quarter sleeves, oversized buttons, and center front seam. One FYI: while William Vintage does not yet have an online store or photo gallery, luxury brand retailer FarFetch carries some items. William Vintage does have an Instagram page. Our thanks to UFO No More for another great ID. 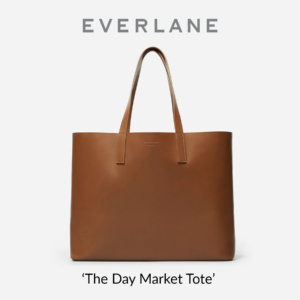 The Duchess carried her Victoria Beckham Vanity Box Leather Tote. 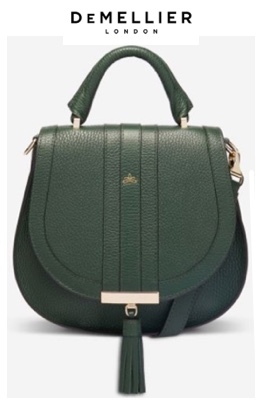 We first saw the bag when Meghan carried it for a January visit to Smart Works, one of her patronages. 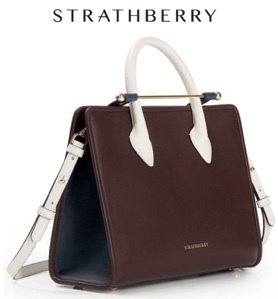 It is also available for pre-ordering at Victoria Beckham ($2100). 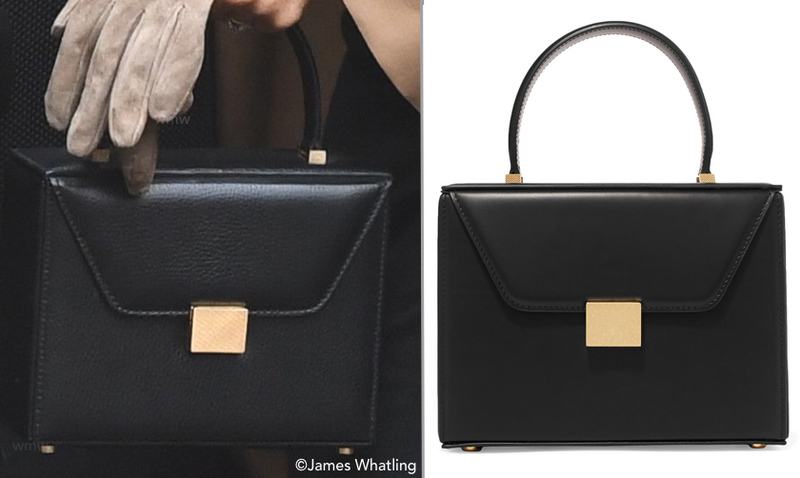 An almost-identical bag is on sale at The Outnet ($1219). 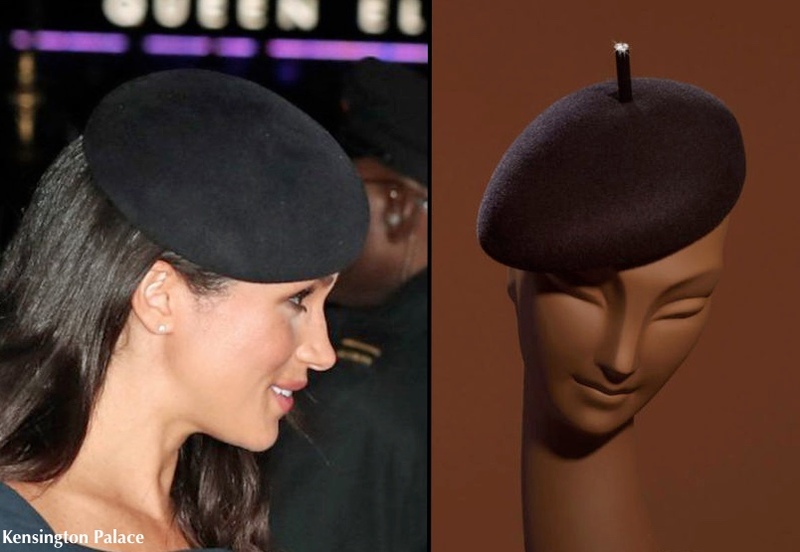 Meghan’s hat looked like a Stephen Jones piece she has previously worn, shown below left as worn for the Remembrance Sunday evening service. 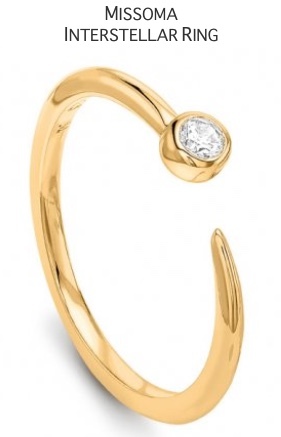 It also appeared the Duchess had on her Kismet by Milka Full Circles Bracelet ($475). We show it below as worn on another engagement. We weren’t able to see what earrings or shoes the Duchess wore. A quick note about this engagement: there were photos available from the event that we could have licensed and used on the site. We elected not to do so because this was a private engagement and when we looked at the pictures they felt intrusive. If interested in seeing some of the photos, Hello! has the story here. Normally we would have had this posted much earlier, but we’ve been crazy busy handling some site management and design issues. We’ll have exciting things to share with in the next month! Our final item is a mention of recent Retail Roundup posts, where we have the latest on several styles Meghan has worn. Meghan’s Mackage ‘Mai’ Coat in the sand colorway is available again. Normally $750, the coat is 25% off at Bloomingdale’s, bringing the price to $562.50 with promo code SAVEMORE (this offer ends March 28th); the style is also available at Shopbop ($750); it’s in stock in limited sizing at Mackage ($750). We’ll see you soon with a post that includes a fun poll!! I really hope we will get to see her at least one more time before the baby comes. I think she has about four more week to go. Does anybody know if there will be any more public events such as Easter Sunday service or a holiday parade, etc. where we may see her? I looked up Frogmore Cottage — they have quite a project on their hands. It doesn’t seem like it will be finished in time for the baby. I really hope we get a look at the final, refurbished residence,. Thanks for the update. 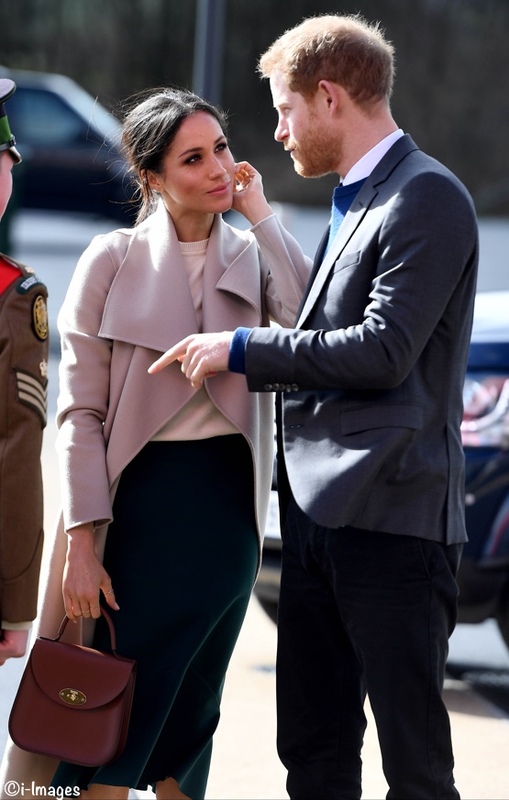 Any word on which shoes Meghan wore with the vintage coat? I absolutely loved it. It was so very Jackie O! Hi Jackie – we never saw any photos that showed Meghan’s shoes. We could only see the hat, coat and bag she was carrying. Thanks, Susan C.
Thank you for updating us. There’s nothing like having the World waiting for you to give birth! Thanks for the update! I do love the Dior vintage coat. It’s beautiful. I do think the use of the vintage coats during Meghan’s pregnancy have been really clever, this and the black Courreges coat seem to have both fit her well and stayed true to her style. As a vintage obsessive for both ethical and style reasons, it’s lovely to see a high profile royal like Meghan wearing it so often.